Disney's live-action Mulan has just added another villain, Jason Scott Lee, who is of Chinese and Hawaiian descent. He joins actor Gong Li, who was previously cast as one of the antagonists in the upcoming reimagining of the Disney animated classic. This offers further proof that the Mouse House is putting their money where their mouth is on this one, in terms of not whitewashing it. Jason Scott Lee is set to portray a warrior by the name of Bori Khan. He's described as a leader dead set on avenging his father's death. Beyond that, his specific motivations and who exactly he wants to get revenge on remain a mystery. This is an interesting bit of casting in the sense that Jason Scott Lee actually has a pre-established history with Disney. He portrayed Mowgli in his younger years in the studios' 1994 live-action version of The Jungle Book. He was also part of the voice cast for 2002's Lilo and Stitch. 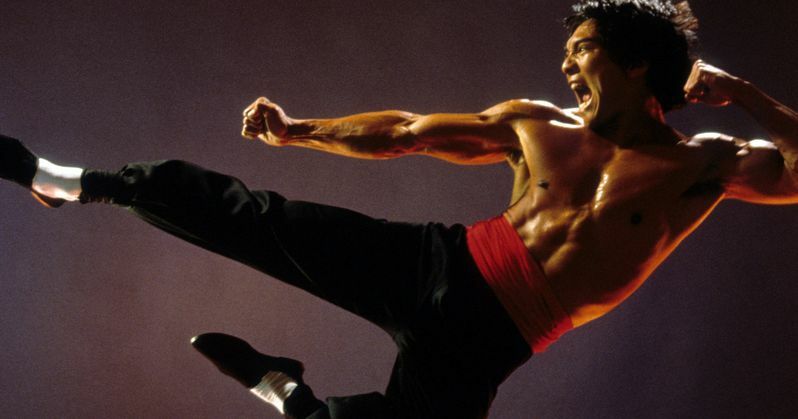 Outside of Disney, Lee is best known for 1993's Dragon: The Bruce Lee Story. He recently starred in Crouching Tiger, Hidden Dragon: Sword of Destiny for Netflix and Burn Your Maps alongside Vera Farmiga. Though, this sounds like it will be far away and his highest-profile job to date as these recent Disney live-action remakes of their animated classics have been massive hits at the box office. The rest of the cast includes Rogue One's Donnie Yen, newcomer Yoson An, Marco Polo star Ron Yuan, the one and only Jet Li, Pitch Perfect star Utkarsh Ambudkar, Xana Tang, Chum Ehelepola and Liu Yifei as the titular hero. Specific details on most of their characters haven't yet been revealed. Niki Caro, who previously helmed McFarland, USA for Disney and made a name for herself with the 2002 indie hit Whale Rider, has been tapped to direct the live-action Mulan. Jason Reed, Chris Bender, Jake Weiner and Bill Kong are on board the team of producers. 1998's animated Mulan was a hit for Disney at the time, grossing $304 million worldwide. This live-action take should be looking to begin production by early 2019, if it doesn't get going before the end of the year, as a March 27, 2020, release date has been set. The next animated classic getting the live-action treatment is Dumbo, which is directed by Tim Burton and hits theaters in March 2019. We'll be sure to keep you up to date as more details on the project are made available. This news comes to us courtesy of The Hollywood Reporter.